Now it is time to make flickering fairy wings that also flex! Some Background: This is one of the best sculpts I have ever made, and you get it for free. 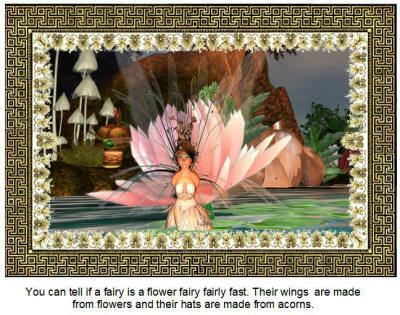 I use it in my fairy rezzers and birds extensively. This technique took me two weeks and over 50 different sculpted models before I got it working. 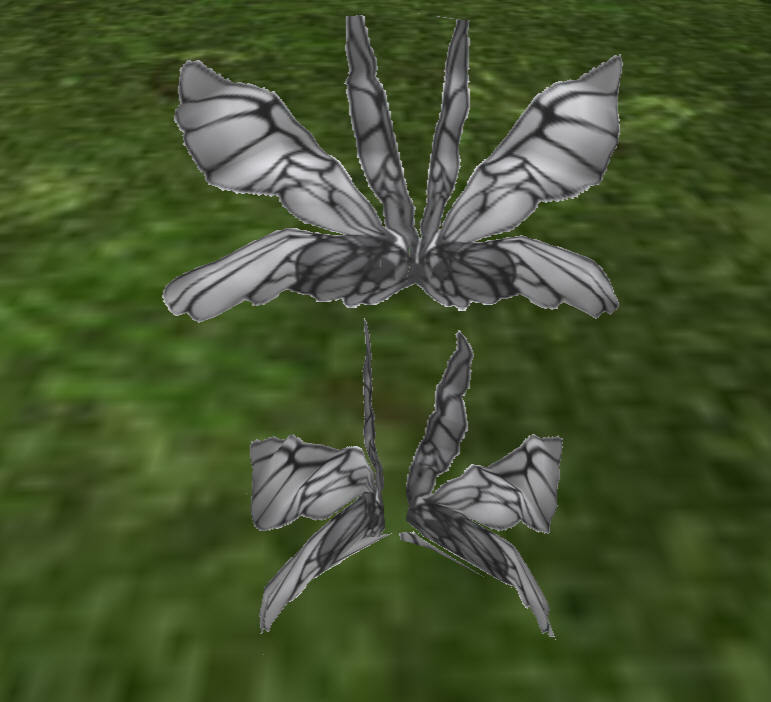 The wings are very low lag (zero server lag) and the wings can flap rapidly. They will change modes as you fly hover and land, automatically. 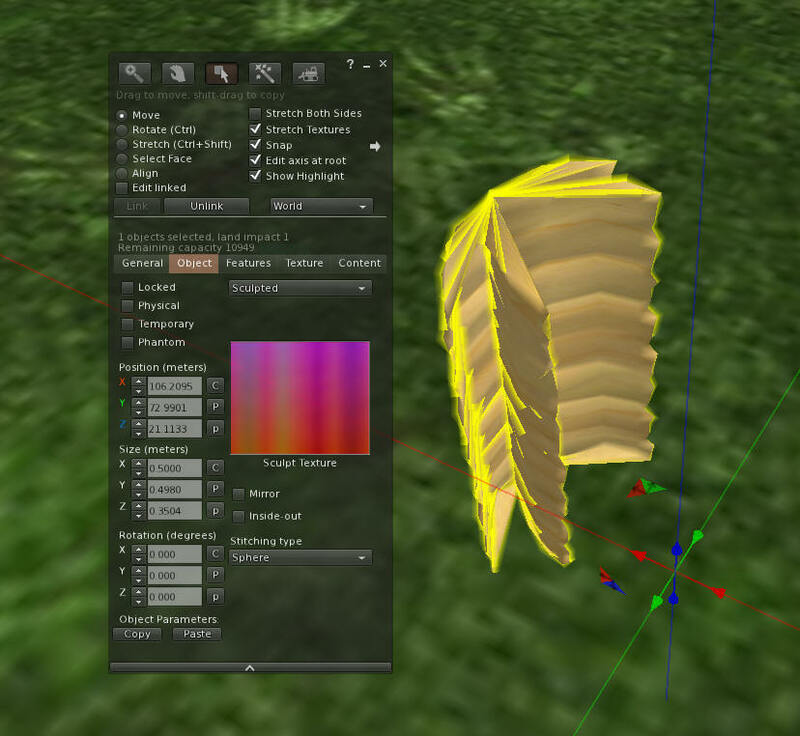 You will need to click one of these wing textures for the X-shape. They are in the zip file, or you can get them here. To get the largest one, then right-click and save one of my free wing textures as a PNG file, then upload it and apply it to the wing. All of them are monochrome, with alpha. If you want to try and make your own wings for other types of birds, my Photoshop PSD template file is here. 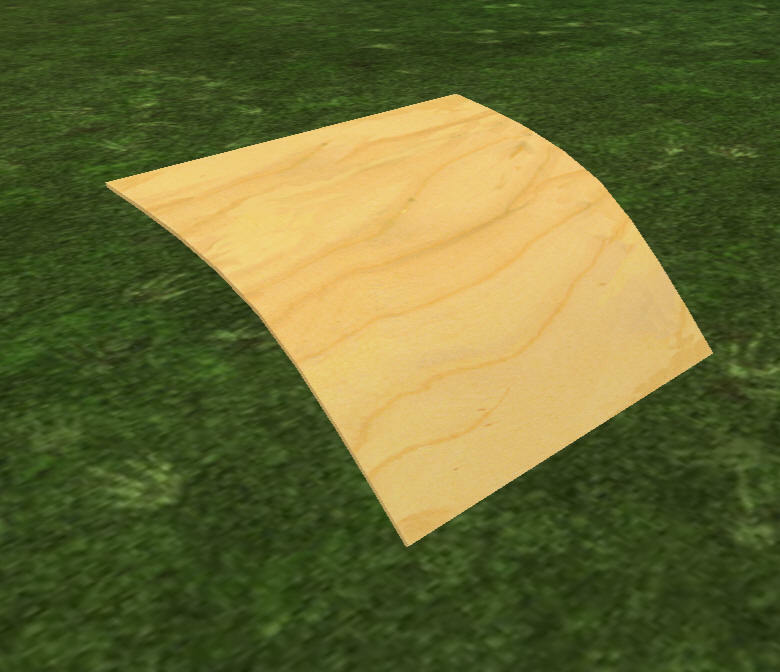 After you add a texture, it will look like this, doubled up. This is normal at this stage of the building process. 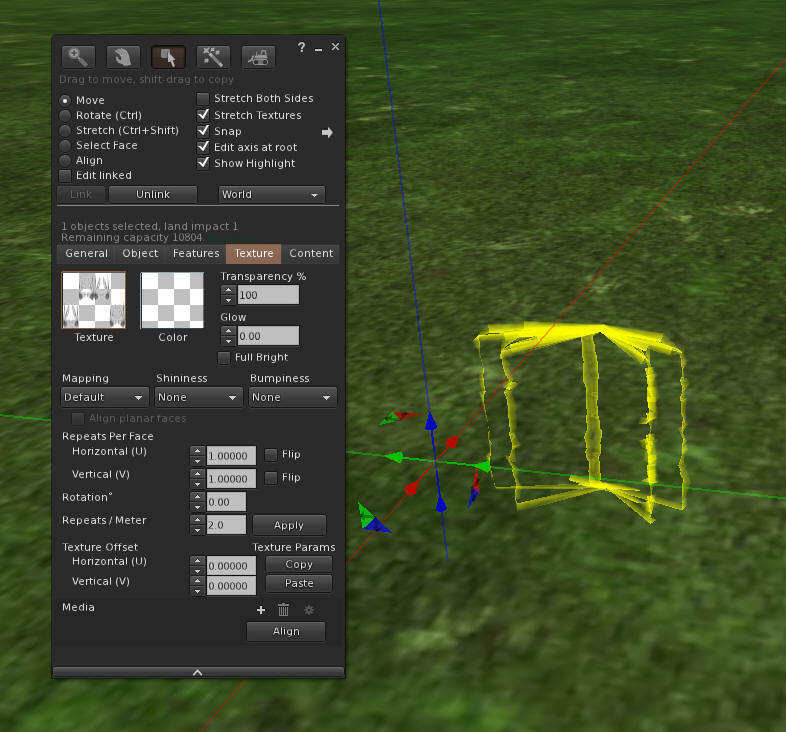 Add the "X-wing Script.lsl" script to this X-shaped prim. The script receives commands from the Menu system in your avatar, and it makes the wings flicker. 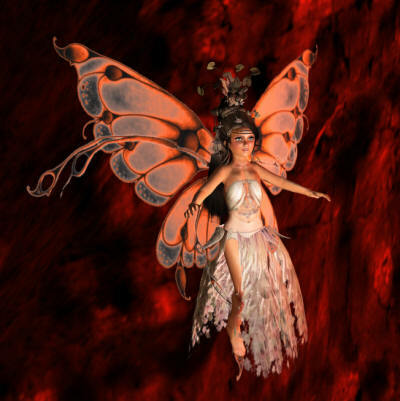 Now you should be able to see these wings flapping. 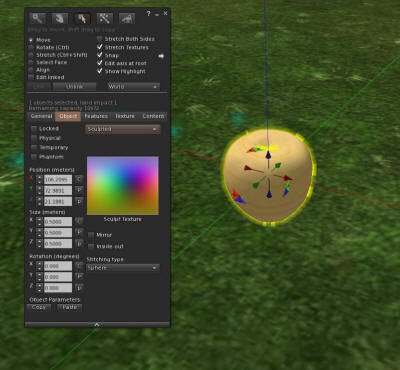 The colors are not yet set, the script will do that when we are finished. Flapping wings can move quickly, but they cannot flex. So we add a second pair of wings and the script will enable or disable the wing we are using at any given time. The script will make it so that when your avatar is standing on the ground, this flex set of wings will appear. When flying, the flicker wings appear. Make a box and set it to a size of 0.5 X 0.5 X .005. 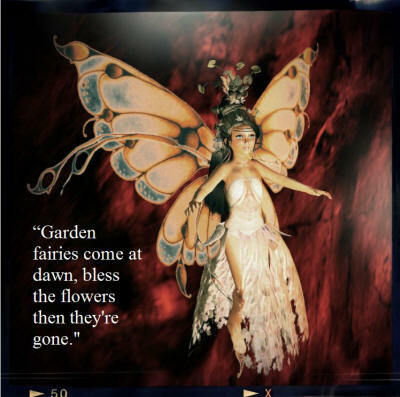 You will be able to shrink this down to fit your tiny fairy. 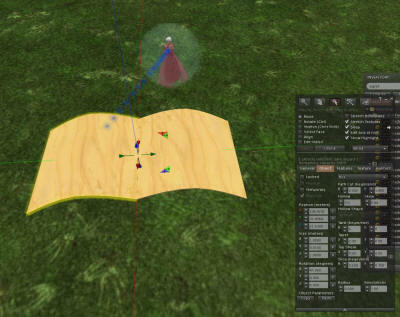 Now grab the "Flex wing script.lsl" and put it into the wing. Turn the prim around until you see it sag. 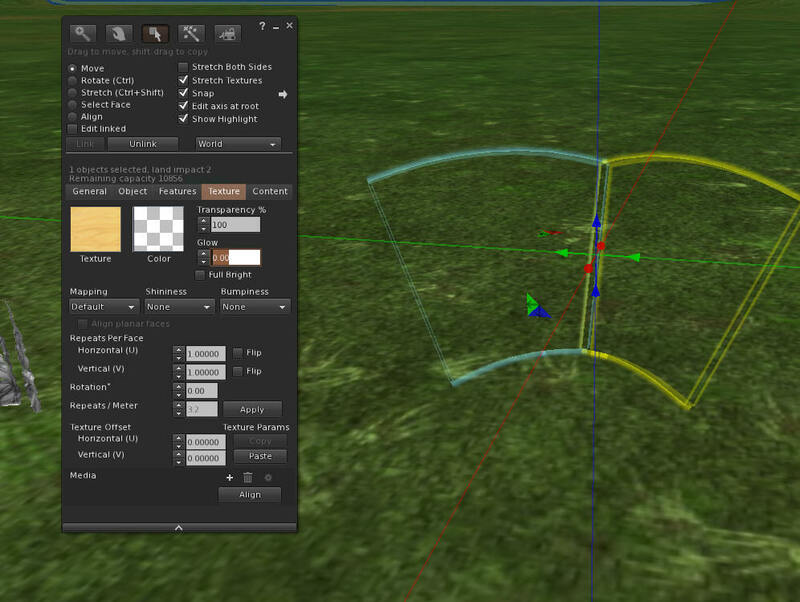 I set my two wings to a rotation of <45,0,0> and <315, 0, 0>. Apply the Default Transparent texture to the entire prims. 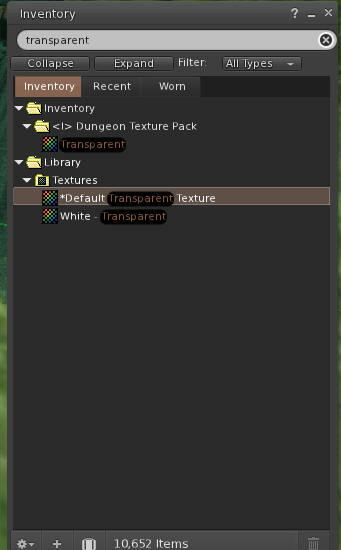 Just go to inventory, type "transparent' in the white bar at top, and then drag this onto the texture window for each of the wings. Link the two flex wings together by selecting them both, and press Ctrl-L. Tilt them upso you can see the bottom and the top. Now slide the new pair of flexible wings over on top of the X-wings. Set both this wing and the X-wing to be about the same size. 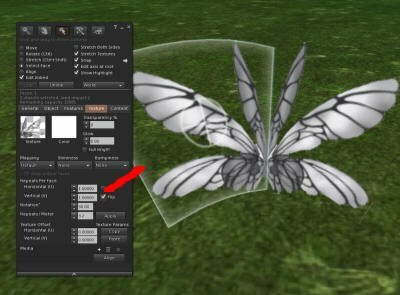 Now link them all together by clicking both sets and selecting Ctrl-L.
Now that all three wings are together, add the "Color Control Script.lsl" . This script will color the wings when we use the menu system. Add this to any prim, but only add it once! Name this object "Fairy Wings". Take a copy into inventory, and right click and attach it to your avatar's spine. You can adjust them to fit and resize them behind her shoulders. 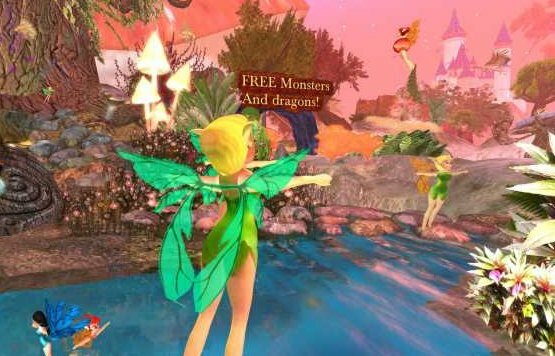 Type '/100 menu' into chat and check that the avatar and wings all change color together for each color.